[ sims4p ] Pharmf114 – Hello! [ sims4p ] Pharmd524 – Hello! [ sims4p ] Pharmf924 – Hello! [ sims4p ] Pharmc500 – Hello! The Villain branch goes up to Level 11, which unlocks Our Founder Statue. 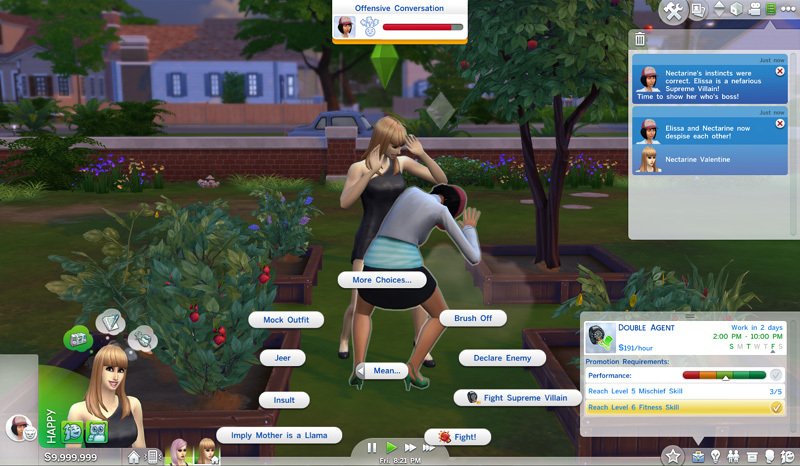 “Investigate” reveals a trait of the target sim. There is a cooldown between each use. Like BFF, you need to use a social to Declare Enemy (Mean, when Despised). Unlike BFFs, you can have more than one. Expose Supreme Villain! is a mean social and can be used on anyone. Some of those you expose really are Super Villains! Your relationship will jump to Despised and you will fight. If you win, they will be run out of town. 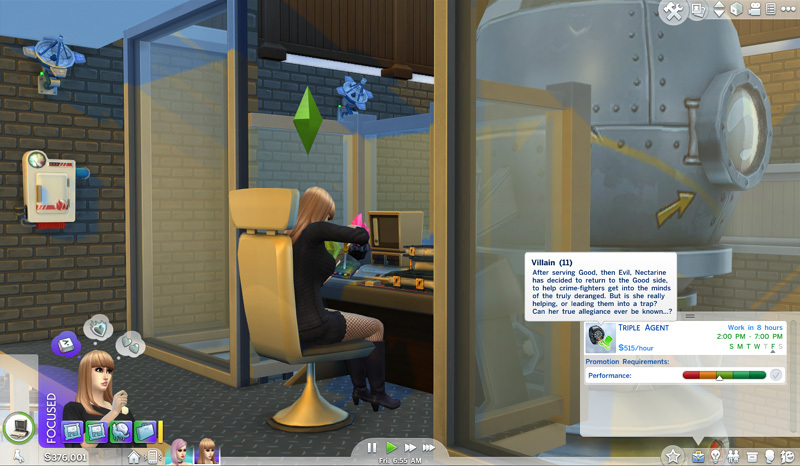 If you have two Secret Agent sims, a Supreme Villain for one does not automatically make a sim a Supreme Villain for the other. I’ve tried to figure out which sims are Supreme Villains, but it appears to me to be random. 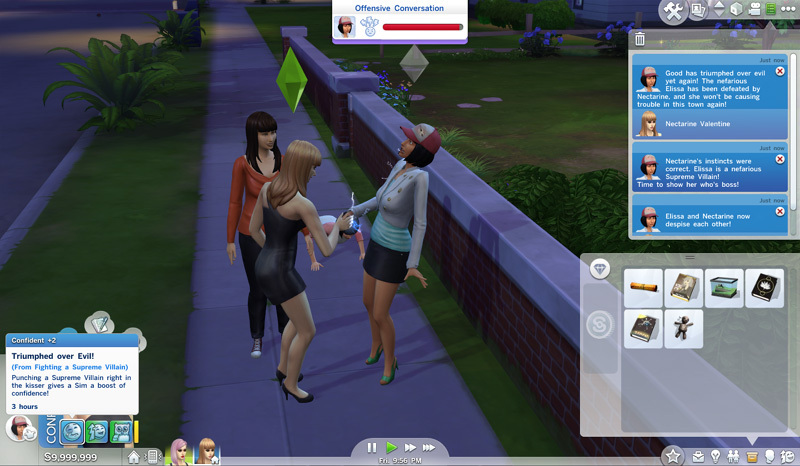 The Secret Villain Handshake does not appear all the time, so I can’t tell if it somehow lets you know if a sim is a Super Villian without getting into a fight. Once exposed, you will always have the option to Fight Supreme Villain. It feels good to win. Apparently, as a Supreme Villain, you’re still on the side of good.